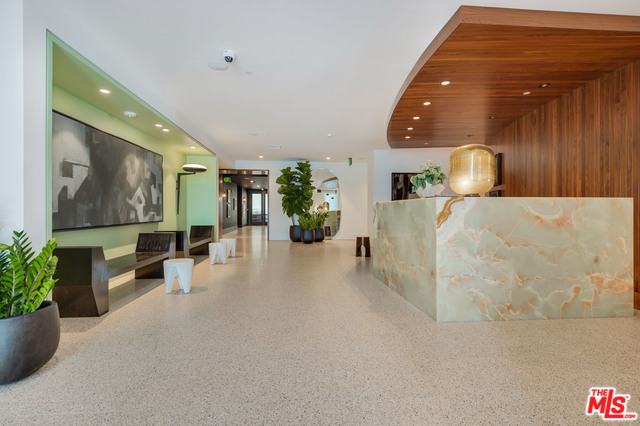 MODERN LIVING COMES TO "THE CORRIDOR"
Amidst the traditional atmosphere of the Wilshire Corridor, The Liddel stands out as an unexpected surprise. Though modernist in its roots, The Liddel uses a combination of vintage and custom contemporary pieces, as well as an eclectic mix of wood, metals and fabrics to bring the common areas to life. And of course, living here includes a wealth of first-class amenities and services, including 24-hour concierge, valet service, Club Lounge with a bar and fireplace, Wine Room, Private Dining Room, Garden Lounge, a Catering Kitchen as well as a Fitness Studio and a stunning Rooftop Terrace. "These spaces are meant to be lived in; not just looked at. There is a timelessness about the overall look, but also an unpredictability. We didn’t want to create spaces you pass through and occasionally sit in, but rather an extension of your home, your living room—places to gather, connect, and entertain guests." 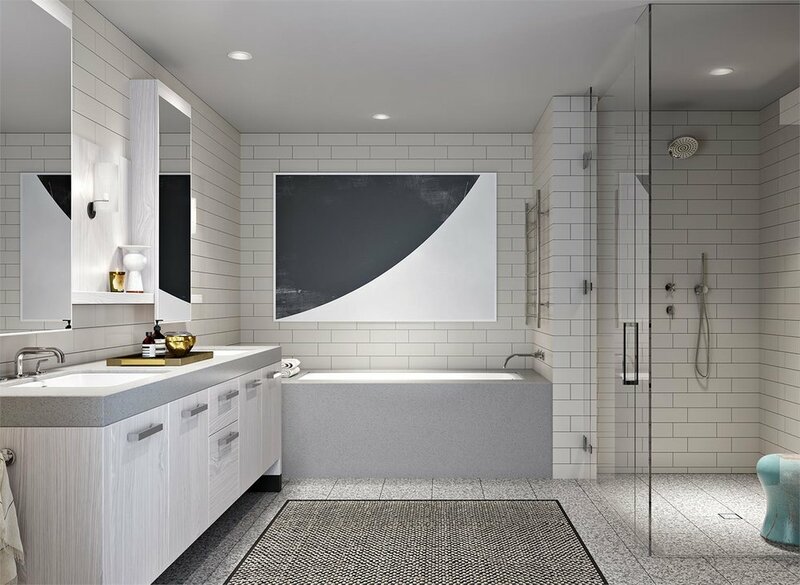 Residences are designed as clean, open canvases that balance modern lines, flexible floor plans and generous living spaces. One to three-bedroom residences and penthouses feature up to 2,706 sq. ft. of open-plan living with expansive windows, European-inspired kitchens and curated design finishes, such as wide-plank, white oak floors. Many residences feature spacious terraces, while select penthouses boast private rooftop terraces with breathtaking views of the hills of Bel Air and the city beyond. Located on the westside of the "Wilshire Corridor", also known as "The Golden Mile", The Liddel truly sits on the best part of this two-mile stretch of luxury condo buildings, At The Liddel, you're just around the corner from Westwood Village where you'll find outstanding shopping, dining, culture, entertainment, and services. Plus, Beverly Hills, Holmby Hills, Bel Air, the Westfield Century City, Santa Monica and our gorgeous beaches, and the best of L.A.’s Westside are only a short walk or ride away! Call/Text Lauren at (310) 775-5854 to schedule a tour or inquire further. Same Day Tours Can Often Be Accommodated, Weekends and Evenings Included. If you prefer, please fill out our online CONTACT FORM.